It takes only 3 steps to make a measurement. Designed for the field work, robust, totally portable, direct read out of more than 11 grains. Precision +/- 0,4%. 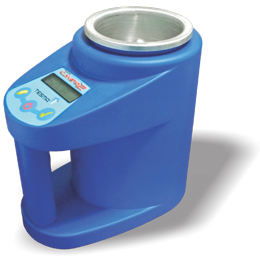 Incorporated high accuracy weighing scale. Power: 9Vcc battery. Automatic temperature correction. Very simple and fast to operate.